Over the years, SharePoint has been tortured and made to do almost everything and anything. We've seen it integrate a powerful Search Engine called FAST, enterprise-grade business intelligence with Performance Point, work with a built-in Workflow Engine, and much more I don't want to list in fear of how long this paragraph will be. However, while SharePoint continued to stretch itself into dozens of scenarios, the core of it forgot to evolve with the fast-paced industry of current times. After attending the Future of SharePoint event, and seeing what's coming, I feel like Microsoft has reset SharePoint and focused on the core which made it so popular: Team Sites and Libraries. Why Did We Need to Reset SharePoint? Today, when I talk to the younger generations in the workplace, though it's not limited to them, I see their eyes roll when the word SharePoint is uttered. A product no longer associated with "cool", and often linked to connotations of complicated and hard to use. It wasn't mobile or responsive, despite some attempts, and every time you'd want to use it, the governance and information architecture police would show up at your door telling you to plan Content Types, Lists, Libraries, and other such things. Wait Benjamin, are you saying SharePoint is no longer going to focus on ECM (Enterprise Content Management) with Content Types and Metadata? Absolutely not! What I'm saying is that SharePoint needed a reset to make it easier to use these if we needed them, and just as simple to use if we don't need them. Don't tell me you haven't heard of Dropbox, Google Drive, OneDrive, Box, Slack, Salesforce, and I'm probably forgetting 20 of them. Everyone's fighting to have your organization work in their solution within the cloud. It's like a new planet has been discovered, and they're all trying to establish a strong base there. The battle for the lowest price has already occurred and thus, is no longer a major factor. Now, people want to make sure it works for them and everything else they have. Microsoft already has a very strong presence with Office 365 Email and Skype for Business, but the SharePoint piece as we know it didn't seem to bring in the users that needed simpler solutions. When we hear of Rogue IT, it means our users don't like the solution we're offering them for their problems, or didn't find one that suited them. People used SharePoint, but many worked on their documents elsewhere beforehand, and some even ignored it. I think this SharePoint reset changes the game. Instead of trying to make SharePoint do everything, Microsoft decided to offer a lot of these "extra" solutions outside of SharePoint; though some may even be built on it, they're still separated. You may have seen the Video Portal, Planner, Power BI, PowerApps, Yammer, and Flow. And if you think about it, they're all things we tried to do in SharePoint before. 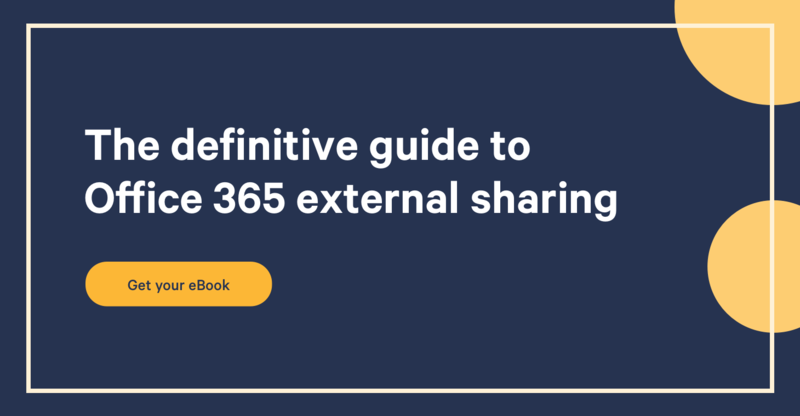 By offering these outside of SharePoint, Microsoft allows SharePoint to focus on letting it be a Dropbox, as well as something not available anywhere else, a Dropbox for Enterprise. The new SharePoint is responsive out-of-the-box, easy to use by allowing right-clicks on documents, but also integrates the more robust enterprise content management features like Metadata beautifully in the UI. There's a Mobile App that puts your Intranet in your pocket. I know it sounds cheesy, but I've been using it for many weeks now and it's remarkable. I can navigate my team spaces (Team Sites), and view, access, and modify any of it. If I need to enhance the experience, I can shift to the other products in the Suite that do it best, and complement my SharePoint without modifying it. Power BI for my team's dashboards and reports; or PowerApps and Flow to create a mobile app or form, and automate our business processes. This, in many ways, replaces what SharePoint tried to do with its Workflow Engine as well as Designer. To be clear, SharePoint isn't reducing any existing functionalities. I wanted to emphasize that, as I could already hear the worried voices as I typed the previous lines. You can still use what's available today, but I'm convinced you and your users will want to use the new solutions as they become available. A place for your teams to work, which they'll actually want to use. SharePoint is the place where your Teams will go to work. A refreshing change which places our beloved platform back as the leader in its space, especially when you consider the integrations with the rest of the Office 365 Suite. Though all of this isn't strictly for Office 365, SharePoint 2016 will also be getting this update as part of a Feature Pack coming in 2017. Because at the end of the day, it's not just checking a list of required features, it's about users wanting to use it to solve their problems. SharePoint is back, and it's cool again.